This fall wrapped up with a series of photos that definitely capture so much of our joy. My favorite photo of Jameson, EVAR! Just check out the joy on his face! 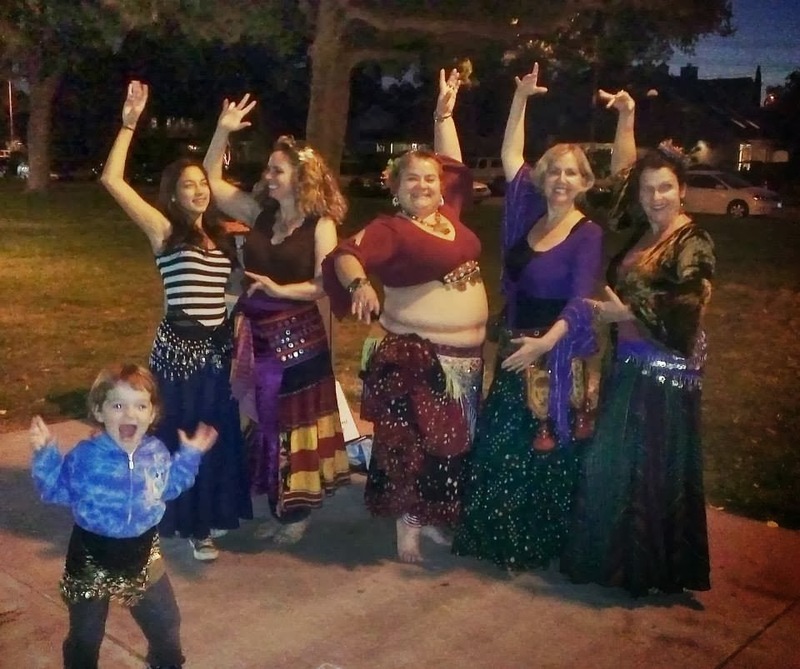 One of the best things about dancing in the park with my SCA friends includes visiting with all the non-dancer friends and family. Jameson usually arrives with his parents at the same time in our warm-up, every week. The moment we start working on our shimmies and hips, I can usually say, “Wiggle, wiggle, wiggle!” then turn around and see Jameson running for us. He loves to, “PUT ON MY JINGLES!” and shake as much as possible for about 30 seconds, then run off to do whatever it is that 3-year-old boys do. 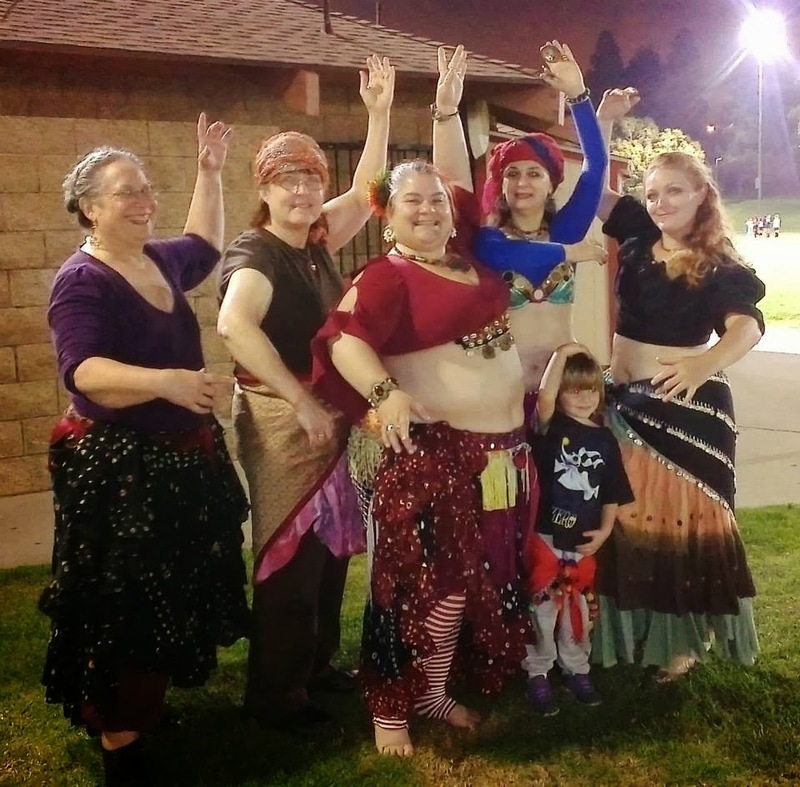 Picture night at my other baronial dance practice yielded this lovely image. Lookee, the kids love us! 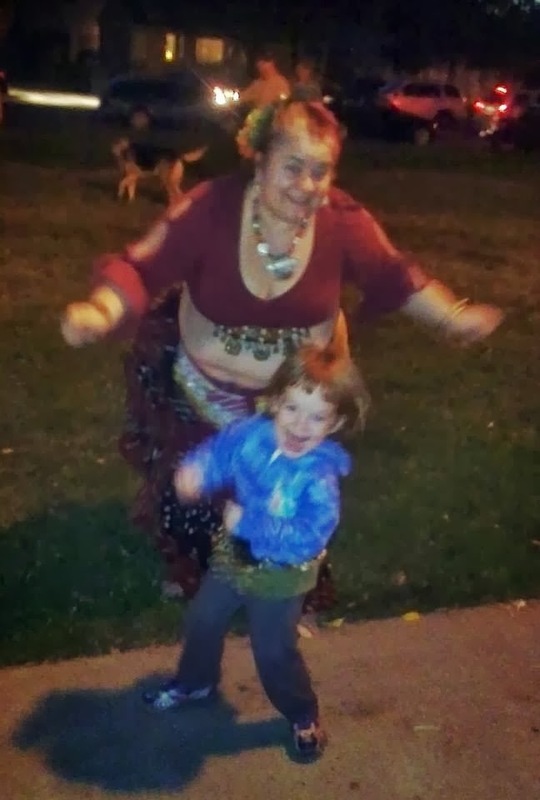 Miranda has decided that I’m her, “fighter practice bellydance teacher,” and now she usually spends about 45 seconds wiggling and jumping around during warm-up, before running off to do whatever it is that 4-year-old girls love doing in the park. I love that kids find my dance practices a space where they feel welcome. I love that some of my fellow dancers are much older than me. I love that some of my fellow dancers are much younger than me. I love that my fellow dancers come to rehearsal with various personal issues to overcome or tackle or deal with. But they come. Week after week, they find a way to get in the car, brave the cold, brave the sidewalk cement, and they dance. They share with me the joy that is dancing together and laughing together. 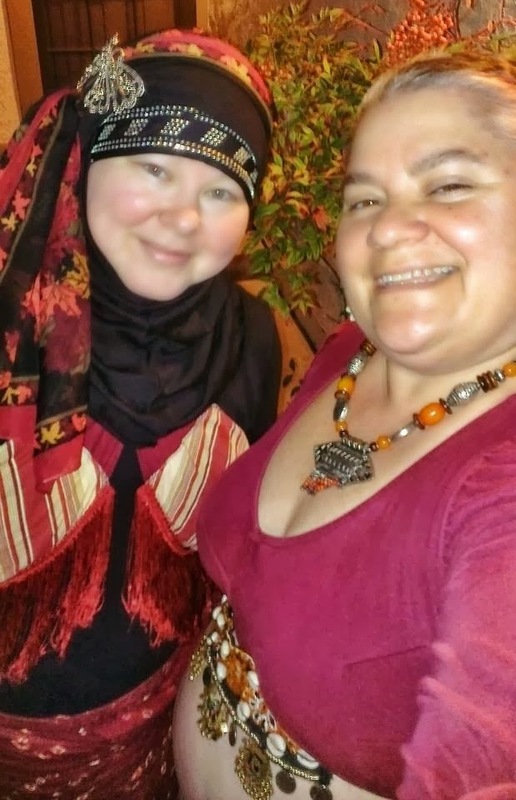 New headscarf bling and shinies! I also love that no matter what level of body modesty each of us is most comfortable with, we can still dance together. We come to this dance to be part of a team, to support one another. And I am extremely thankful for all the support I continue to find with my fellow dancers. Thank you, dearhearts. You brighten my days.